The significance: After the Valley Parade fire disaster of 1985, Bradford City were left scrambling for somewhere to play home matches whilst their stadium was rebuilt. This included holding games at Elland Road (Leeds United) and Leeds Road (Huddersfield), before taking residence at Odsal – home of Bradford Bulls. City’s existence at Odsal was a largely miserable one. The vast open stadium was less suited to football, and the lack of a roof left supporters exposed to a harsh winter. The council seemed keen to make the arrangement a permanent one by redeveloping Odal for both clubs, but the desire of City fans to return home was overwhelming, and Valley Parade was eventually rebuilt. This home game with Leeds United was one of the final matches played at Odsal. It should have been a happy occasion as the Bantams earned an impressive 2-0 victory, but trouble in the Leeds end marred the afternoon. This included the tipping over of a chip van that started a fire, leading to thousands of City fans exiting Odsal in panic. The significance: In 1987/88, Bradford City were on the verge of returning to the top flight of English football for the first time since the 1920s. They’d enjoyed a sparkling season of football, as Terry Dolan’s team – which included celebrated names like Stuart McCall and John Hendrie – out-performed a division featuring some big names. Alas, just as City closed in on promotion, a fall out occurred between Dolan and the board over team strengthening, with Dolan strongly believing he needed two more players to provide cover to his small squad. The board did not sanction the funds, and right at the end suspensions and injuries took their toll. On the final day of the season City needed to beat Ipswich and hope other results went their way. Yet a 3-2 loss to a mid-table Suffolk team consigned them to the play offs, which they would lose. McCall and Hendrie would leave the club. It was a truly heart-breaking end to such a wonderful season, and a huge missed opportunity. The significance: Within two years of almost reaching the top flight, City were relegated to the third tier on a whimper. John Docherty was handed the job of reviving the club’s fortunes – and would go down in history as one of the most disliked managers City have ever had. Docherty employed long-ball tactics and recruited heavily from his former club Millwall. City fans detested the football and lack of results, infamously chanting “We want football” during games. Docherty made little effort to win over the crowd, and after tredding water in the third division for 18 months he was finally sacked. 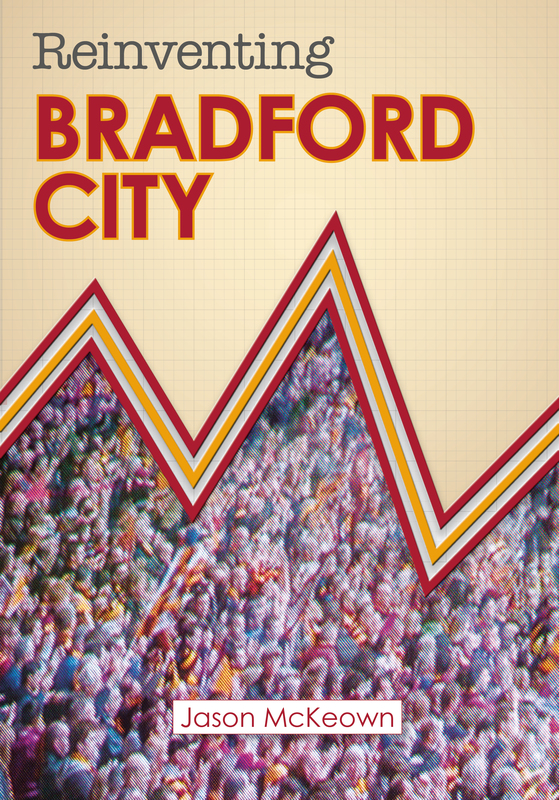 The significance: In January 1994, Bradford City welcomed a new owner following an unusual swap deal, and he had a big ambition – to get the Bantams into the Premier League. The new chairman was named Geoffrey Richmond and he would go onto have a huge influence on the club’s modern fortunes and identity. The first challenge was to get out of the third tier, something that Richmond came nowhere close to doing until he appointed Chris Kamara as manager. Kamara masterminded a late surge to the play offs, but after a painful first leg defeat at home to Blackpool it looked like it had all been in vain. The second leg at Bloomfield Road was one of the most sensational nights in the club’s history. They recovered from 2-0 down by winning 3-0 on the night, thus booking a first ever appearance at Wembley stadium where the club would be promoted. To those who were there, Blackpool is still considered the best game they have ever seen. 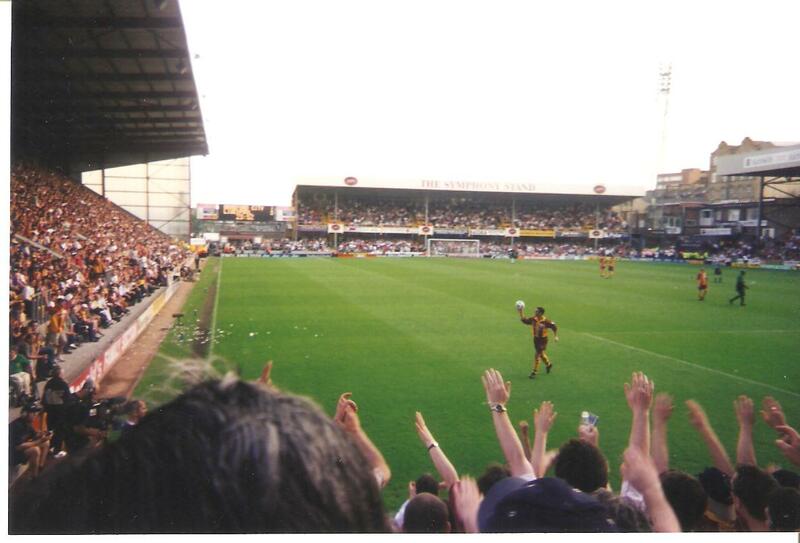 The significance: Geoffrey Richmond’s masterplan came together in glorious fashion over the 1998/99 season, as the second tier Bantams bought well, and rookie manager Paul Jewell built a team that produced scintillating football. They recovered from an awful start – where people were demanding Jewell’s sacking – to push for automatic promotion. Stuart McCall was the captain after returning to the club following a 10-year gap. Other star names like Peter Beagrie, Lee Mills, Robbie Blake and Jamie Lawrence became club legends over the course of an amazing season. It all came down to the final game at Wolves. City had to win and, despite falling behind, did so in memorable fashion. After a 77-year absence, Bradford City were back in the top flight. The significance: After bravely avoiding relegation from the Premier League during the club’s first campaign back in the top flight, Geoffrey Richmond made a series of decisions that would have had catastrophic consequences for the club. He fell out with Paul Jewell, and committed huge sums of money to bring in players on massive wages. Yet for one glorious night, it looked an inspired plan. City defeated Chelsea 2-0 after a performance packed full of quality – arguably the best in the club’s history. Pulling the strings was Benito Carbone on £40,000 a week. The significance: After the Bantams came crashing out of the Premier League, they faced the trauma of going into administration in 2002 and nearly folded. They somehow survived, but the troubles were far from over. In 2003/04, in what was City’s centenary season, they endured a dismal relegation from the second tier and fell back into administration. The debts looked unmanageable and the way forwards unclear. At least until supporters were given a tangible target to raise money to keep the club going. A 3-2 defeat to bottom club Wimbledon confirmed relegation – it was the most feeble manner possible. But ultimately the club was saved with the help of its own supporters. At least we still had a club to support. The significance: After three years tredding water in League One, City were relegated again and there seemed no end to the misery. But an innovative season ticket approach would reinvigorate the Bantams and transform its support base – with the help of a club legend. Stuart McCall returned for a third spell after agreeing to be the new manager. It captured the imagination of the Bradford public and lead to a huge surge in crowds. From that point on, the club has been very well supported even if success was not forthcoming for a few more years. The Macclesfield game was the first of McCall’s rein in charge. The 1-1 draw set the tone for a difficult period for the club’s most popular player. There was no happy ending, but not for the want of trying. The significance: Stuart McCall might not have been a successful Bradford City manager, but his successor fared even worse. Peter Taylor had a great track record, but just couldn’t get the club going. They began the 2010/11 as promotion favourites but were way off the pace. Taylor agreed to step down, with the unusual scenario of completing one final game in the job – a nerve-jangler, relegation six-pointer with Stockport. 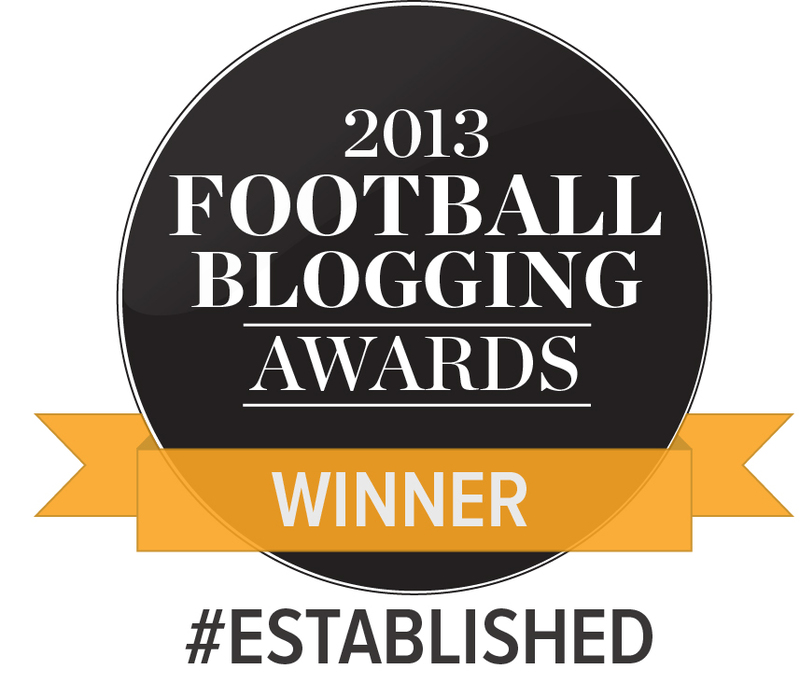 Lose, and the Bantams faced the very real – and very scary – prospect of relegation to non-league. What followed was one of the most dramatic 90 minutes of football in the club’s modern history. Five goals and two red cards told only half the story. Eventually City won 3-2, but it was a torrid afternoon as the club diced with the prospect of relegation. The significance: For years and years City were a poor cup team – but that changed in a big, big way in 2012/13. They went on the most sensational of cup runs that included knocking out five higher league teams and becoming the first ever fourth tier side to reach a major cup final. The League Cup miracle had already included victories over Premier League Wigan and Arsenal, before the first leg of a semi final with Aston Villa saw another incredible Bantams win. 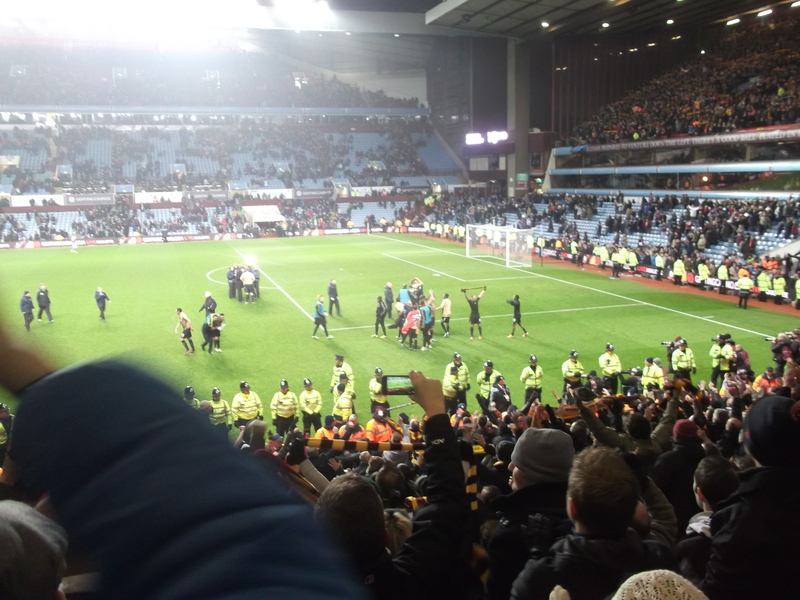 They travelled to Villa Park with a 3-1 advantage and a huge chance of making it to Wembley. The second leg was one of the greatest nights the club has ever known, as a James Hanson header helped them to see out an aggregate victory. 6,500 City fans were there on a freezing Birmingham evening, to witness their team complete one of the most astonishing feats in English football history. The significance: Three months after losing the League Cup Final to Swansea, City were back at Wembley for the play off final. They had looked unlikely to finish in the top seven, before Phil Parkinson inspired them to a late play off push. After beating Burton in the semi finals in thrilling circumstances, Northampton stood in City’s way. They blew their opponents away with a superb first half performance, taking a 3-0 lead that they never looked like surrendering. Thus a first promotion in 14 years was sealed, and a dark chapter in the club’s history was finally brought to a close. The significance: At 2-0 down to the best team in the country, no one gave Bradford City a chance. Yet they came back in the most remarkable fashion, to achieve what is now regarded as the biggest upset in the history of the FA Cup. City never gave up, and pulled the tie back to 2-2. Jose Mourinho tried to get his team – that had cost more than £200 million to assemble – going again, but astonishing goals from Andy Halliday and Mark Yeates completed the most memorable of comebacks. City and their 6,000 fans celebrated their Stamford Bridge win long into the night.